The Daily Spurgeon: "Who will go for us?" The blood of Jesus cries like Abel’s blood from the ground, “Whom shall I send?” and his wounds repeat the question, “who will go for us?” Does not the purpose of the Eternal Father also join with solemn voice in this demand? The Lord has decreed a multitude unto eternal life. He has purposed, with a purpose which cannot be changed or frustrated, that a multitude whom no man can number shall be the reward of the Savior’s travail; but how can these decrees be fulfilled except by the sending forth of the Gospel, for it is through the Gospel, and through the Gospel alone, that salvation can come to the sons of men. Methinks I hear the awful voice of the purpose mingling with the piercing cry of the cross, appealing to us to declare the word of life. I see the handwriting of old Eternity bound in one volume with the crimson writing of Calvary, and both together write out most legibly the pressing question, who shall go for us to bring home the elect and redeemed ones? From a sermon entitled "Messengers Wanted," delivered April 22, 1866. 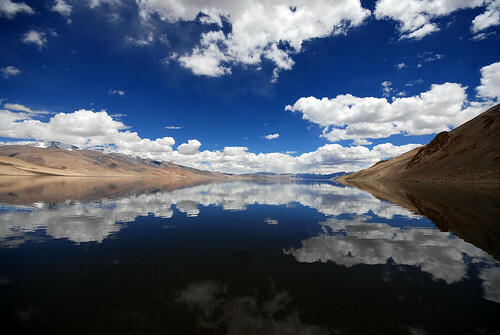 Image by Prabhu under Creative Commons License.